PARKING AND FACILITIES: Parking for 10 vechicles, no other facilities. TRAIL: This trail climbs steadily, staying on the north side of Paris Creek. It levels off on a bench after 1.5 miles and is in a clearcut (199) for the next mile. After reaching the junction with Jolly Mt. 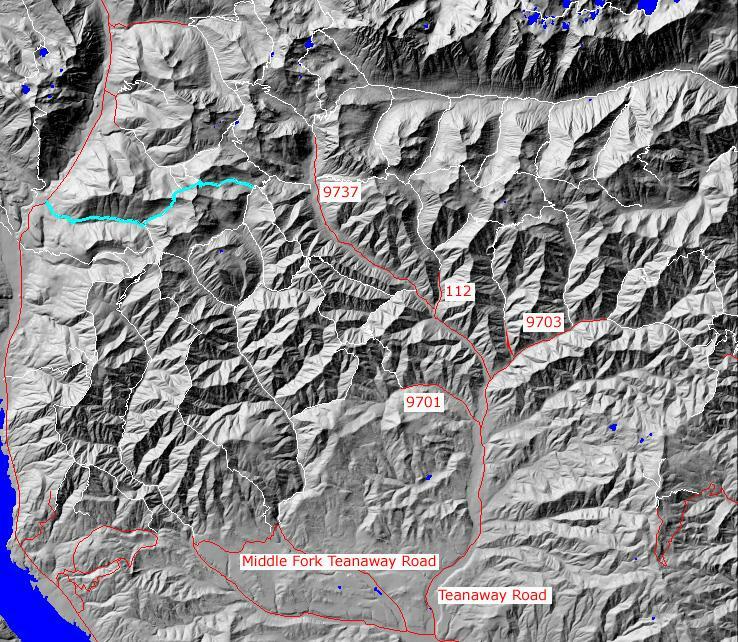 Spur #1307.1, it turn northeast(left) and climbs steeply out of the Paris Creek Basin. It then descends into the South Fork Boulder Creek and climbs again, this time to its end at the ridgetop and junction with Middle Fork Teanaway Trail #1393. While much of this trail is in good condition, portions are steep and narrow. 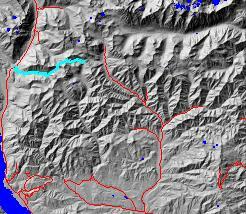 SETTING: Stream, old-growth trees, large clear-cut, subalpine zone, meadows, mountains, ridgetops. OPPORTUNITIES: Hiking, horseback riding, wildlife, scenery, camping, unting.